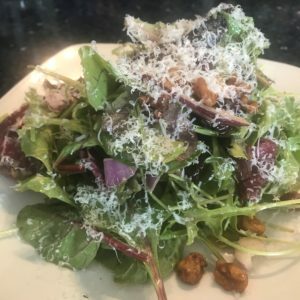 In the evening, a $36 dinner special at Carpe Diem starts with your choice of the Carpe Diem Salad (Mixed Field Greens, Aged Balsamic Vinaigrette, Candied Walnuts, Wine-Soaked Cranberries and Parmesan) or the Soup of the Day. Your main course can be Cabernet Braised Beef Short Rib with Roasted Garlic Mashed Potatoes and Brussels Sprouts, or Seared Diver Scallops with Saffron Risotto and Roasted Red Bell Pepper, whichever you prefer. For dessert you will be able to enjoy Bread Pudding with Rum Soaked Raisins and Vanilla Bean Gelato. For Dinner, ALBA is offering a 3-course meal for $36 starting with your choice of Harvest Corn Chowder or Field Greens Salad. Then, choose between an Alba Burger (with Cheddar Cheese, Crispy Onion, Lettuce, Tomato and French Fries), Grilled Pork Chop (with Peach and Mango Chutney and Fresh Corn Polenta), or Spaghetti Squash with Brown Butter and Goat Cheese. At dessert, choose between Alba Cookies (Macadamia Nut and White Chocolate Chip) or a Chocolate Lava Cake with Vanilla Bean Gelato. Keep reading and we’ll tell you even more about the restaurant specials available January 20-27 in Napa Valley. Does Japanese food sound good? In Napa, Eiko’s is offering a $20 Lunch Special that starts with Miso Soup or House Salad, followed by your choice of (a) 10 pieces of assorted Sashimi with Steamed Rice, (b) 7 pieces of Nigiri and a California Roll or Tekka Maki Roll, or (c) Assorted Vegetable Tempura. Or, if you’re more in the mood for a French Bistro meal, the $20 lunch at Angèle consists of Soupe aux Pommes de Terre et aux Poireaux (Potato and Leek Soup with Crispy Leeks) and Hachis Parmentier (Braised Beef Shepherds Pie). 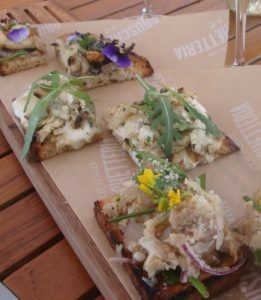 In St. Helena, the Bruschetteria Food Truck is offering a $20 3-course Lunch focused on any of the Bruschetta from their menu which includes Beef Brisket with Gruyere, Seasonal Mushrooms with Fontina, and a Cured Smoked Salmon with Avocado, Radish, Jalapeno, Cilantro and Crème Fraiche. 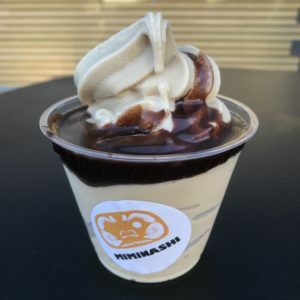 Your meal also comes with your choice of a Seasonal Soup or Small Salad, and then you can finish with either a Warm Chocolate Chip Hazelnut Cookie or a THCO Chocolate Budino. At Tra Vigne Pizzeria, for $20, your meal starts with either a Red Kale Salad or Minestrone Soup, and then your second course can be either the C&B Burger (Chuck and Brisket Patty, Gruyere, Tomato, Watercress, Roasted Onion) or Chicken Panini Sandwich, FYI, the Burger and Sandwich both come with Fries. During Napa Valley Restaurant Week, you’ll also find lunch specials at Auberge du Soleil, Bistro Jeanty, Charlie Palmer Steak, Charter Oak, Compline, Farmstead, The Gatehouse, Grace’s Table, Il Posto Trattoria, La Prima Pizza, Mustards Grill, NapaSport, Ottimo, Protéa and Tarla Mediterranean Grill. 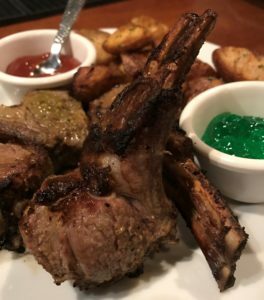 Napa Valley Restaurant Week would be the perfect time to discover (or rediscover) Galpão Gaucho, because for just $46 you can indulge in Fresh Salads and Grilled Meats in the authentic dining tradition of the Brazilian Cowboy. 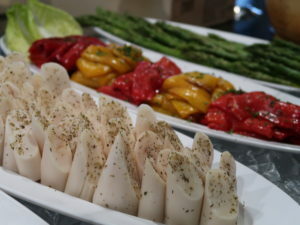 Start with a Cheese Bread Appetizer, explore their 40+ item Gourmet Salad Bar, and then partake of unlimited portions of 17 cuts of meat carved tableside. Some of those 17 meat choices are Picanha (Top Sirloin Bottom), Pork Loin, Lamb Chops, Filet Mignon, Brazilian-Style Sausage, and both Pork and Beef Ribs. Please note that for this discount you must make reservations in advance, and ensure your reservation includes a special note requesting the “Restaurant Week” rate. At Grille 29, you can buy a three-course dinner for $46 with the option of adding wine pairings for an additional $15. First course is a Green Salad with Pomegranate, Goat Cheese and Spiced Pistachios. Next, the entrée is Braised Short Ribs with Roasted Garlic Mashed Potatoes and Carrots. Then, dessert is a New York Style Cheesecake with Luxardo Cherries. The wine pairings for your meal are St. Supery Sauvignon Blanc, Black Stallion Cabernet Sauvignon and Taylor Fladgate 10-year Tawny Port. At Charlie Palmer Steak, the $46 Dinner special starts with a Little Gem Caesar Salad made with Prosciutto, White Anchovies and Parmesan. The main course is “Surf & Turf” with a Petit Filet, Half Lobster Tail, Pommes Puree and Spinach. Wrapping up your meal will be a serving of “Almond Rocher” made with Almond Ice Cream, Brittle and Caraïbe Chocolate. If you’re interested, for an additional $17 you can also add “Bottomless Wine” to your meal. Over at Gran Eléctrica, you can enjoy a 3-course dinner for $36, with matching wines for $20 more. The first course is a Tostada de Ceviche paired with Albariño, the second course is a Mole Pipian de Pollo with Tempranillo, and the third course is Flan Casero with Oloroso. For the first two courses, vegetarian substitutions are also available (Tostada with Cauliflower and Chile Relleno, respectively). Please note, this special is not available on Friday, January 25, or Saturday, January 26. Also in downtown Napa, the $36 Japanese Izakaya-Style dinner at Miminashi starts with Chawanmushi (Steamed Savory Egg Custard, Maitake Mushrooms, Soba Glaze). Second course is a Grilled Flat Iron Steak served with Roasted Brussels Sprouts, Miso Butter and Steamed Rice. Dessert will be one of the restaurant’s popular Soft Cream Sundaes. If you’re craving an excellent burger during Napa Valley Restaurant Week, the main course for the $36 dinner at Boon Fly Café is an Akaushi Kobe Beef Burger on a House-Made Brioche Poppy Seed Bun served with French Fries. To start your meal, choose between a Seasonal Soup or a Beet and Arugula Salad with Shaved Fennel, Sherry Vinaigrette, Fresh Citrus and Shaved Dry Jack Cheese. At the end of your evening, Boon Fly Donuts with Chocolate Sauce will be your dessert. Up in St. Helena, the $46 three-course dinner at Goose & Gander will start with your choice of the Martini House’s famous Mushroom Soup or a Baby Lettuce Salad. For a main course, you can select between Roasted Chicken Breast, Koji Poached Sea Bass, or Heritage Pork Porterhouse. At the end, a seasonal dessert will wrap up your meal. Once again, there’s no reason to stop there. 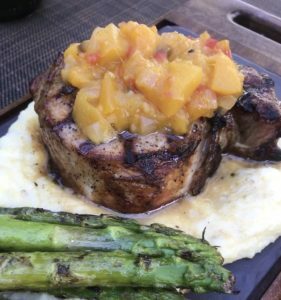 Other restaurants with dinner specials for Napa Valley Restaurant Week include Acacia House, Angèle, Bank Café and Bar, Basalt, Brasswood Estate, Ca’ Momi, Charter Oak, Compline, Eiko’s, FARM at Carneros, Farmstead, The Gatehouse, Grace’s Table, The Grill at Silverado, La Prima Pizza, Mustards Grill, NapaSport, The Restaurant at CIA Copia, Siena, Tarla Mediterranean Grill and TORC. But wait, there’s more: not only can you enjoy lunch or dinner at a discount during Napa Valley Restaurant Week, you’ll find other ideas for activities before and/or after your meal. Napa General Store is open as a restaurant from 8:00 am to 3:00 pm, they are open for shopping from 8:00 am to 6:00 pm, and they also offer wine tasting daily from 11:30 am to 5:30 pm. 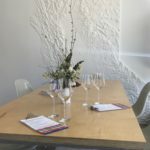 In addition to their Lunch special during Napa Valley Restaurant Week, they are also reducing the cost of their “Artisan Wine Tasting Experience” to $10. During that experience you can select 4 wines from a list of about two dozen to taste. 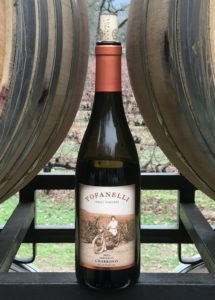 Recent options include an August Briggs Winery Chardonnay and a Tofanelli Family Vineyard Charbono. 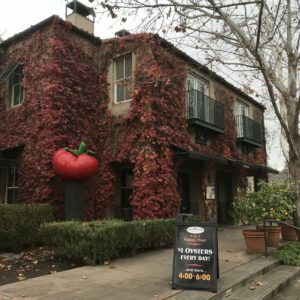 If you haven’t been to The Village yet in South Napa, Napa Valley Restaurant Week would be a great time to check it out. The Village has 9 tasting rooms, open from 11 am to 7 pm, including Jayson by Pahlmeyer, Mi Sueño Winery, Trinitas Cellars, The Wine Foundry and Napa Smith Brewery. Also on the property is Fivetown Grocery, open 6 am to 7:30 pm, offering sandwiches, salads and sides all made from scratch by Chef Vincent Lesage. Between January 21 and 27, Fivetown is offering an easy solution for lunch: their signature Pastrami Sandwich, your choice of side, and a cookie for just $15. Across the street at The Meritage Resort, Crush Lounge is offering an all-day special featuring a Reuben Sandwich with Fries, preceded by your choice of a Half-Sized Chopped Salad or Half-Sized Louis Salad, all for $20. 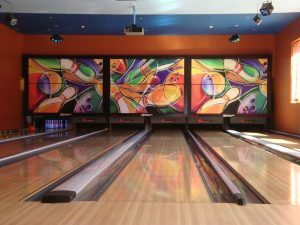 As a reminder, Crush also offers cocktails, sports entertainment via 12 high-definition TVs, and 6 lanes of bowling . 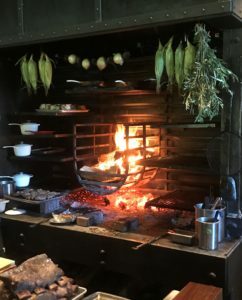 On the same property, at Siena Restaurant, the $20 lunch special includes Tomato Bisque, followed by your choice of a Roasted Portobello Sandwich or a Smoked Turkey Sandwich, with a Huckleberry Bar for dessert. If you miss out on Il Posto Trattoria during Napa Valley Restaurant Week, don’t fret. The generous folks there are extending the dates for their special lunch from now until the end of February. For $20, you can enjoy a two-course meal along with a non-alcoholic beverage. Your first course is a choice between Caesar Salad, Mixed Green Salad and Soup. Then, your second course can be either a Margherita Pizza, Gnocchi with Papa Sauce (the house meat sauce), or Rigatoni and Meatballs. Clearly, the 2019 Napa Valley Restaurant Week celebration offers many ways to explore and enjoy the wonderful food available here. Please join us in taking advantage of these specials, and supporting local businesses at the same time. You can find the most recent listing of participating restaurants, and their specials, at the Visit Napa Valley website. 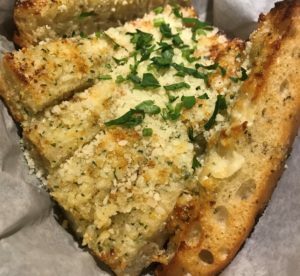 After Napa Valley Restaurant Week, if you are still looking for bargains, please check out our most recent posting about Happy Hours in Napa.